WAAAAGH! 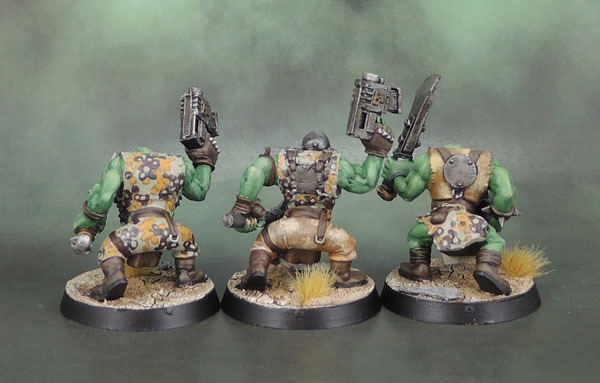 Pt.8: 40k Ork Slugga Boyz – Autumn Platenenmuster Style #2 | Azazel's Bitz Box. 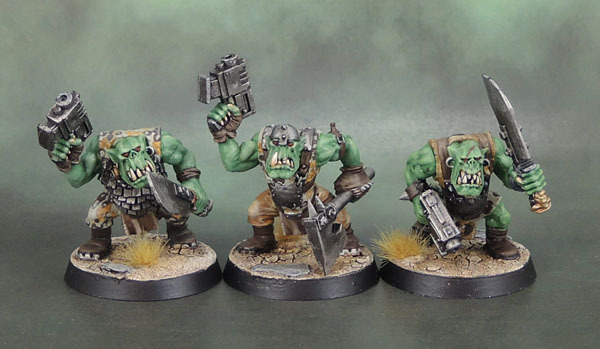 This entry was posted in 40k, 40k Orks and tagged Big Shoota Boyz, Blood Axes, Brian Nelson, Slugga Boyz, Space Orks, Warhammer 40000, Warhammer 40k. Bookmark the permalink. Cheers Mate – I think they work well too. Have you ever used Andrea Paints? Right now there are multiple types of Cameo sets including Andrea Color Waffen SS Camo Paint Set (Spring Colors) among others. I’ve used their paint for years. Good stuff but I can’t speak for the Camo paint sets as I’ve fallen behind in my collection of them. I haven’t trued/Used Andrea paints, or Scale 75 at this stage. 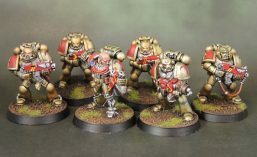 I use a mixture of Citadel (old and current), Vallejo Game and Model Colour (and Panzer Aces), Vallejo Game and Model Air, P3 (Privateer Press), Coat D’Arms, Reaper Master System, Reaper HD, Army Painter, Warpaints, occasionally Tamiya Metallics and some AK Interactive acrylics. Within that, I’ve got favourites for different colours, for different coverage and so on. If I ever see Andrea from any of my usual sources, I might check them out (unless they seem to have issues that would turn me off them, like the Scale 75s.) Cheers! Loving the Camo on these. Dot size is perfect. Great looking camo dudes. Reminds me of what we wore in the desert in 1986!